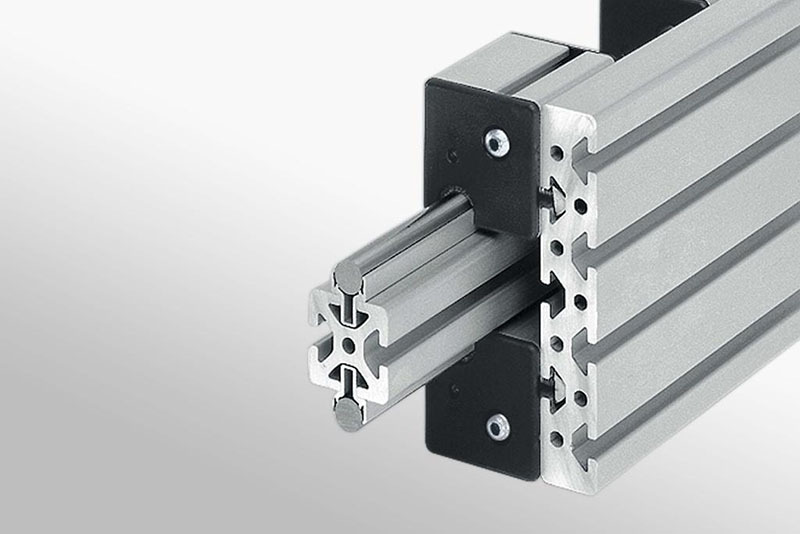 Linear Slides can come pre-assembled. However, LRE modules can also be assembled on site. The following are the individual components of the LRE range. 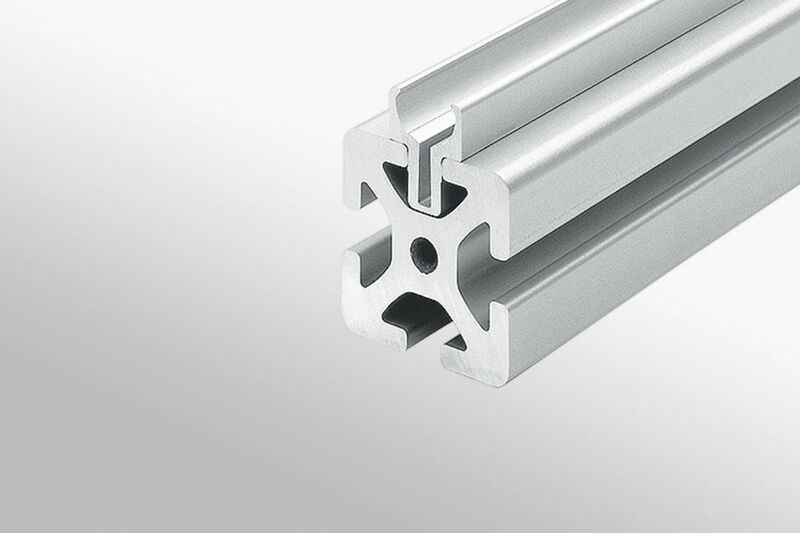 Each design will be different, however, the most common profiles used are Profile 5 20×20 or 40×20, or Profile 8 80×40 or 80×80. 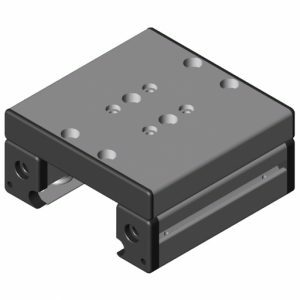 The Shaft Clamp Profile is pressed into the groove of standard aluminium profile. The shaft is then pressed in. It is along this shaft that the carriage slides. 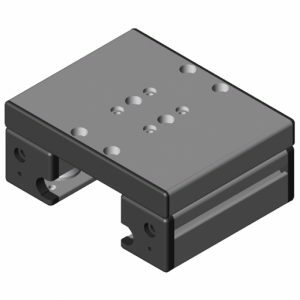 The object to be moved can be attached to the carriage plate using T-slot Nuts or fasteners such as Angle Brackets. 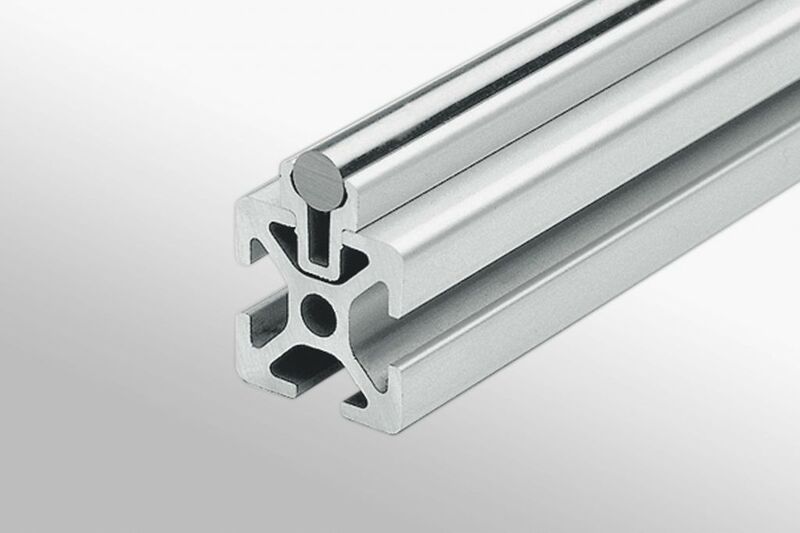 A popular choice is either the Profile 5 80×14 or Profile 8 160×28 with end caps, cut to the length required. 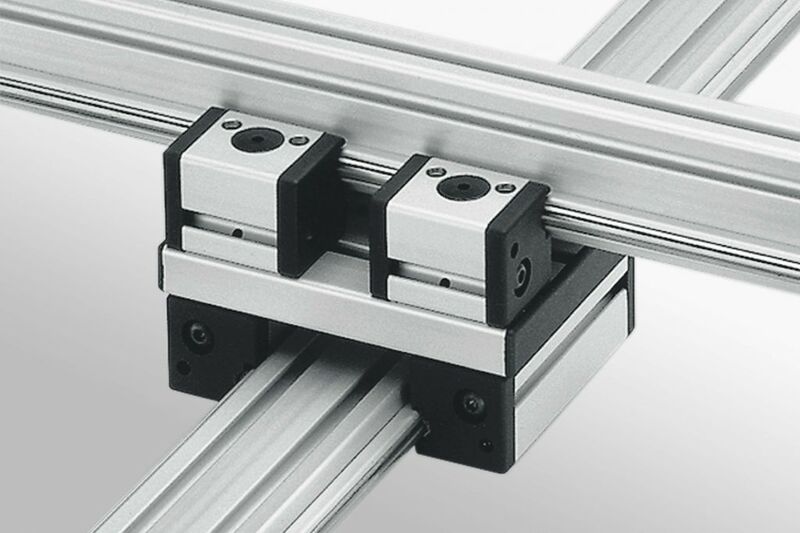 An ideal option for a manual slide are the pre-assembled Linear Guide Carriages. 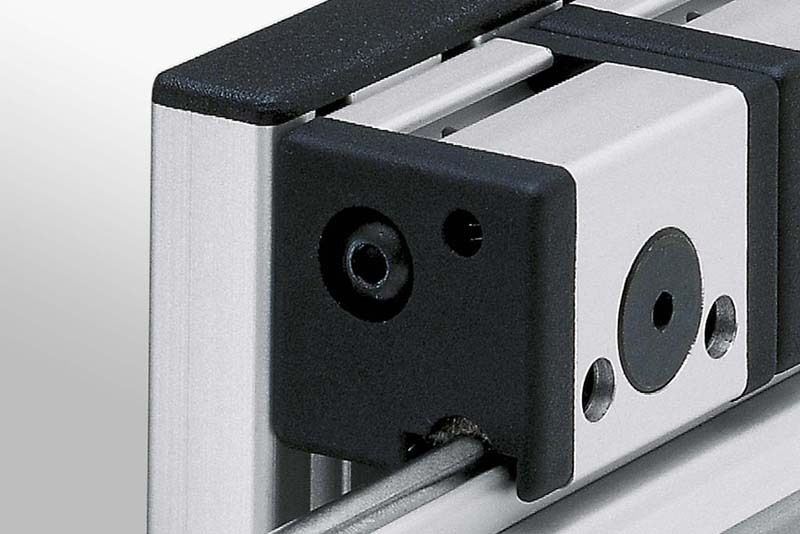 They are already equipped with bearing units. It is recommended not to use the E version of Profile 8 for these carriages. 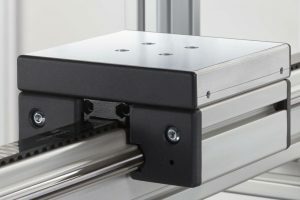 Slide LRF can easily be automated with a Timing Belt. 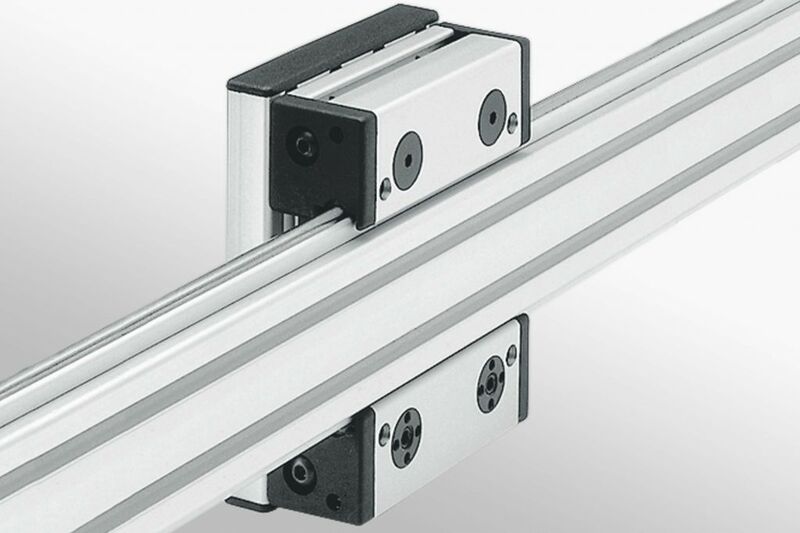 Bearing Units are the foundation of the sliding carriage. 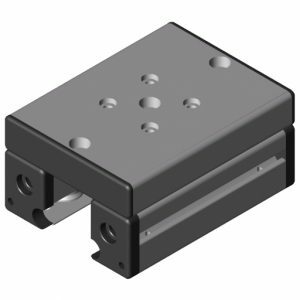 Single or Double Bearing Units are available for different uses. 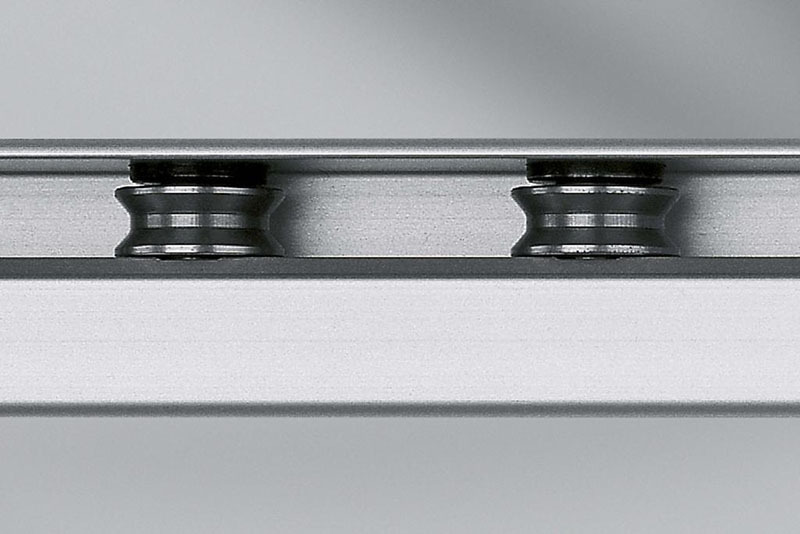 Two types, ‘eccentric’ and ‘centric’ differ in the geometry of the bolts to ensure the guide unit is free from play. One of each should be used. 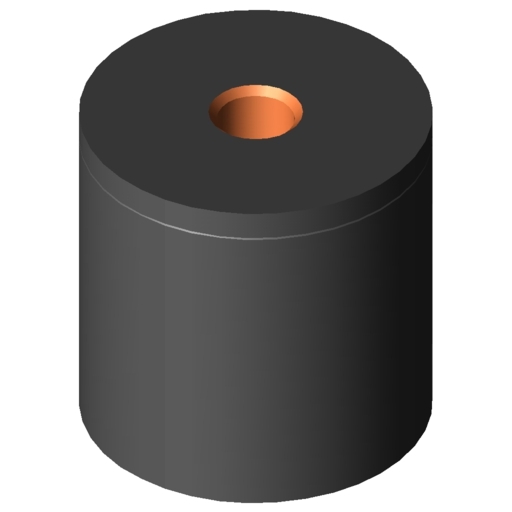 An alternative to single Bearing Units are the Double Bearing Units. 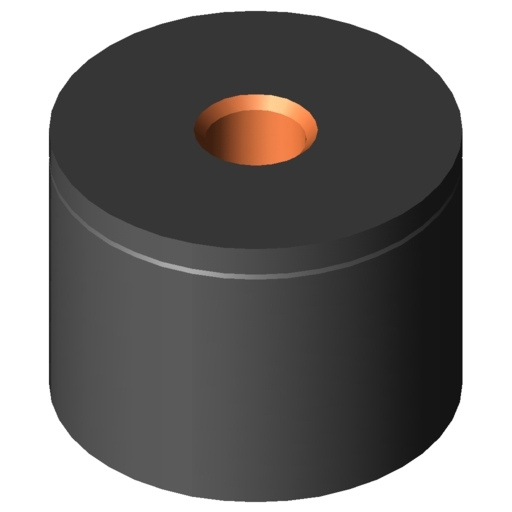 The End Cap and Lubricating System sits on the ends of the Bearing Units to prevent premature wear. The felt is saturated in oil when it leaves the factory. It is recommended to re-oil every six months. 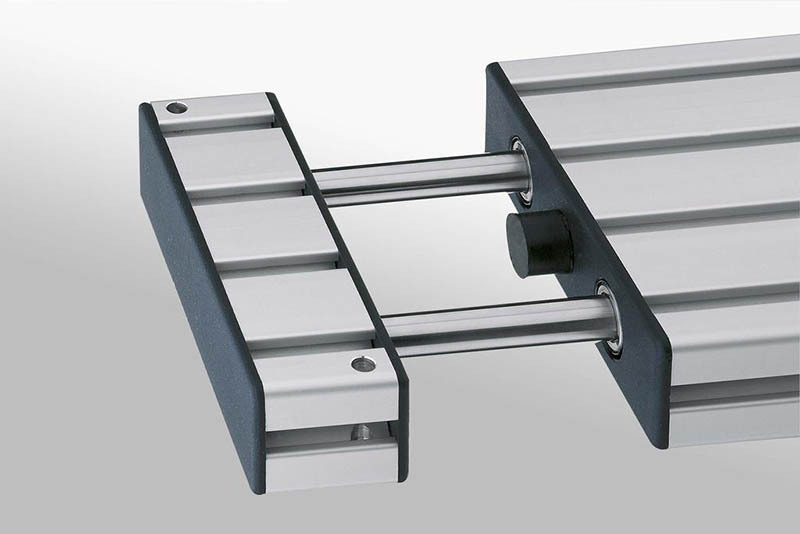 Suitable for building customised Bearing Units. 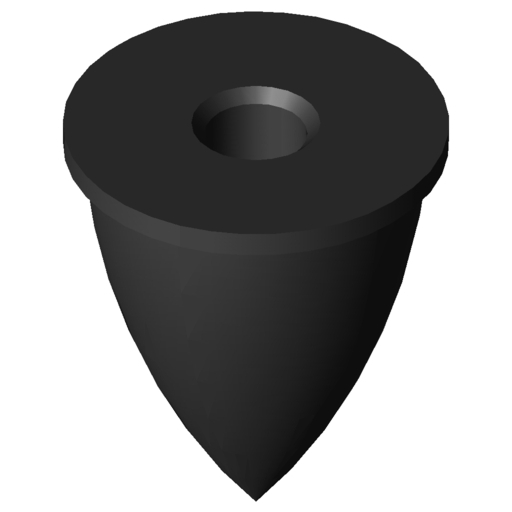 Rubber-metal elements for absorbing impacts. Resistant to oil, water, sea water and road salt solutions. Partially resistant to soap solutions, vegetable fats and animal fats. It can also be used as a simple, damping foot.